As a kid, did you ever play that game where a friend holds a buttercup just under your chin, and if you can see a yellow reflection on your skin, it means you like butter? Well, it isn’t always easy, if you live in the middle of a town or city like most of us, to find a buttercup, especially out of season – but there’s usually plenty of butter to be had at the local store. Beware, though – the origin of the butter in your coffee is very important. 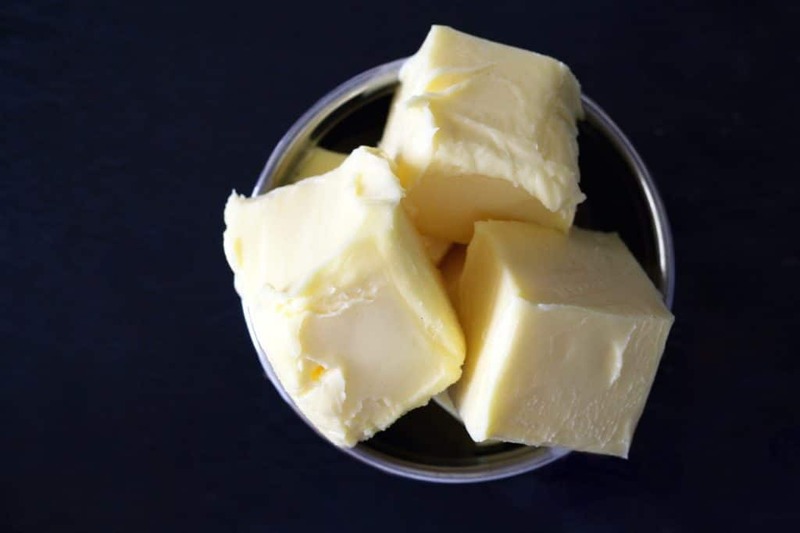 To get the full benefits of butter in your coffee, the butter you use needs to be grass-fed and unsalted. Kerrygold is one of the easier brands to get hold of, usually, and since Irish butter is amongst the best in the world, if you’re trying butter in your coffee for the first time, we’d definitely suggest putting Irish butter in your coffee. It does need to be unsalted, ideally. We’re definitely a discerning lot, we coffee fans, never afraid to try something new. We definitely have an adventurous streak when it comes to trying out new flavors and sensations. And if you’re looking for something a little more substantial than a latte, but that is still fun and frothy, look no further. The butter in coffee craze is well and truly here. While butter in your coffee might not be something you’ve considered before, many people worldwide are fans, and every day more people try it out. Some celebrities have raved about it on national TV. And while buttered coffee is sometimes referred to as bulletproof coffee, this is actually slightly different from Dave Asprey’s distinctive product. So what is it about putting butter in coffee that has led to it becoming so popular? Why put butter in coffee anyway? Well, come with us on a journey to the roof of the world to find out where the idea began. While we’re all coffee lovers here, we do have to admit that there are times that those tea-drinkers come up with great ideas that work just as well with coffee. Dave Asprey is now known as the man who brought butter in coffee to the west in recent years. So the story goes, he was hiking in the Himalayas and it was there that he first encountered yak butter tea, a traditional drink in the mountains. At a low ebb, feeling the effects of the altitude on his stamina, he tried the drink – and to his amazement, his energy levels were rapidly restored. Many of those from outside the region who have tried the traditional yak butter tea describe the taste as rancid initially, which is probably largely due to the fact the butter is fermented, not a process used very much in our typical diet outside the brewing of alcoholic drinks. Increasingly, however, there’s an awareness that fermented foods can be good for us. What Is Buttered Coffee, Anyway? Well, as it says on the tin, butter in coffee, sometimes described as buttered coffee, involves adding grass-fed butter to your coffee. You can even mix it for yourself in your average coffee machine or blender. Some recipes also suggest that ghee will work well instead of grass-fed butter. As well as your favorite coffee and the butter, you do need to add a little bit of coconut oil. Asprey’s Bulletproof Coffee product, while it makes use of the principles of butter in coffee, is a brand in its own right, and includes a particular substance called MCT oil. Coconut oil is packed with a particular type of oil called MCT, which has been shown to help with weight loss in certain circumstances. Grass-fed butter is also packed with healthy omega fats. I’ve certainly personally tried putting coconut butter in coffee and while there is a slight oily aftertaste, it gets absorbed well, adds a subtle but distinctive flavor, and is a great addition to breakfast. I’d definitely recommend carrying a ceramic cup or metal mug of the brew with you on your daily commute if you can, especially in winter or on a wet and blustery day. There are hundreds of recipes around although just about all of them use a combination of coffee, grass-fed butter or ghee, and coconut oil or an alternative. For basic buttered coffee, make your coffee as usual. Then pour your brew into a blender, combine with unsalted grass-fed butter and a teaspoon or so of coconut oil (or one of the branded MCT blends out there, like Bulletproof). Then blend the whole mix on high for around 20 to 30 seconds. At the end of the blending process, you should have a frothy drink that looks not unlike a latte. The resulting drink is creamy, frothy, warm and filling – a micro-meal in a coffee cup. You’re likely to get the very best results if you use whole coffee beans and grind them at home yourself. 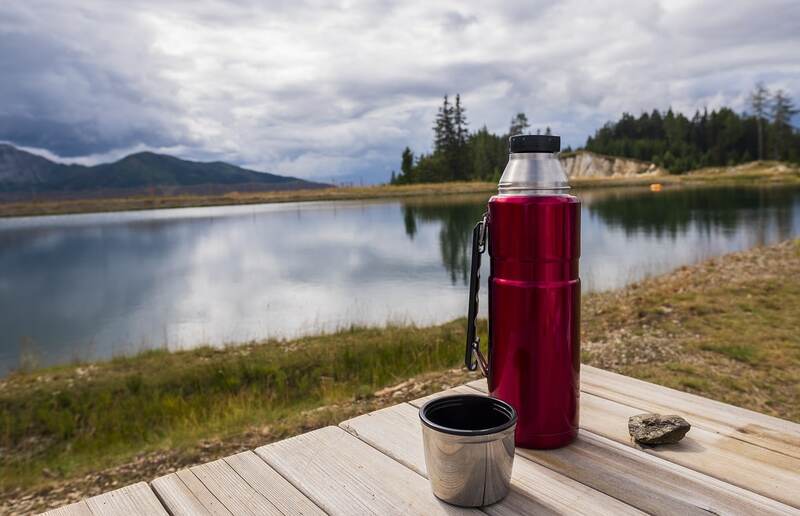 It goes without saying that the water should be as fresh as possible, and, depending on where you live, filtered if necessary. Try out different coffee blends, different amounts of butter and coconut oil, until you find your perfect butter in coffee partner. Buttered coffee is definitely lower in sugar than your average shop-bought latte, but it’s also undeniably higher in fat. While fats used to be the bad guy, however, recent research shows that good fats can actually be beneficial for some aspects of our health, particularly when it comes to brain health. And the overall health effects of coffee are well-known. Some people also claim that putting butter in coffee can help you lose weight, as part of an overall diet approach, particularly keto. Many nutritionists are much more cautious, however, mainly due to the lack of research at this point. Other experts point out that, unless you are following a calorie controlled diet, all you’re really doing is adding another 200 calories or so to your breakfast; and some experts are sitting firmly on the fence for now (which can’t be an altogether comfortable position). There are so many other ways to add butter to coffee to give it that extra kick and distinctive flavor. Have you ever thought of putting peanut butter in coffee, for instance? 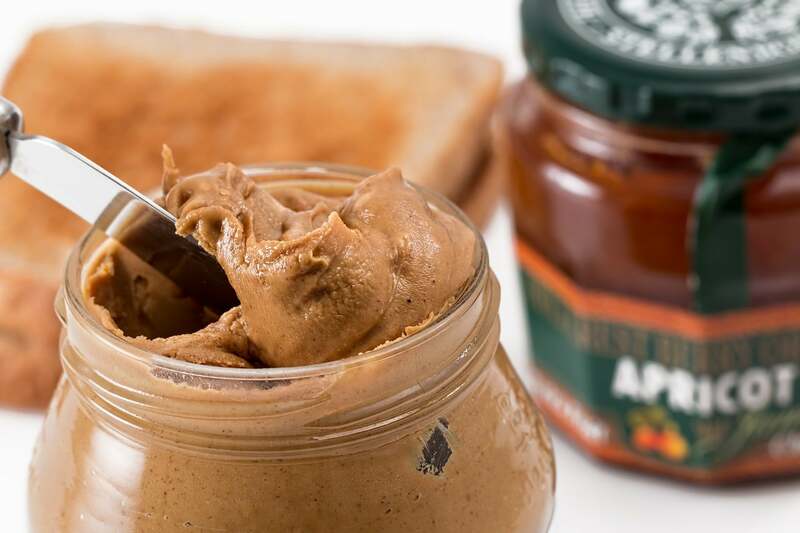 As long as you’re not allergic to peanuts, peanut butter can also make a fabulous addition to a cup of joe – and this is something you can whip up in the microwave in seconds. It’s best if you use smooth peanut butter rather than the crunchy variety, and you’ll probably end up with a little bit of sludge at the bottom of the cup, but this mix will also give you a great energy boost. If you’re feeling extra decadent, add a little hot chocolate to make a divine peanut butter mocha. If you’re someone who can’t eat peanuts, but you are okay with other nut varieties, there are dozens of other kinds of butter on the market now that might make a great alternative. I’m eyeing up the almond butter in my store cupboard right now and I seem to remember there’s a jar of hazelnut butter in there somewhere too. Passing Fad Or Dietary Revolution? While there’s currently a lack of research out there, it’s still probably a little too soon to appreciate the long-term effects of adding buttered coffee to our diets. What is undeniably true is that butter has been the bad guy for too long. We actually all need a certain amount of fat in our diet to stay healthy – although it is also true that the amount of fat in an average buttered coffee does exceed the recommendations of the American Heart Association. When you think about it, though, why not put butter in your coffee, after all? We add cream without batting an eyelid, so you could look at it as a logical extension. And on that note, I can hear the coffee maker calling, so I’m off to filter some water, fire up the blender, take the lid off the Irish butter in the butter dish, and find the jar of coconut oil I’m sure I left at the back of the fridge. 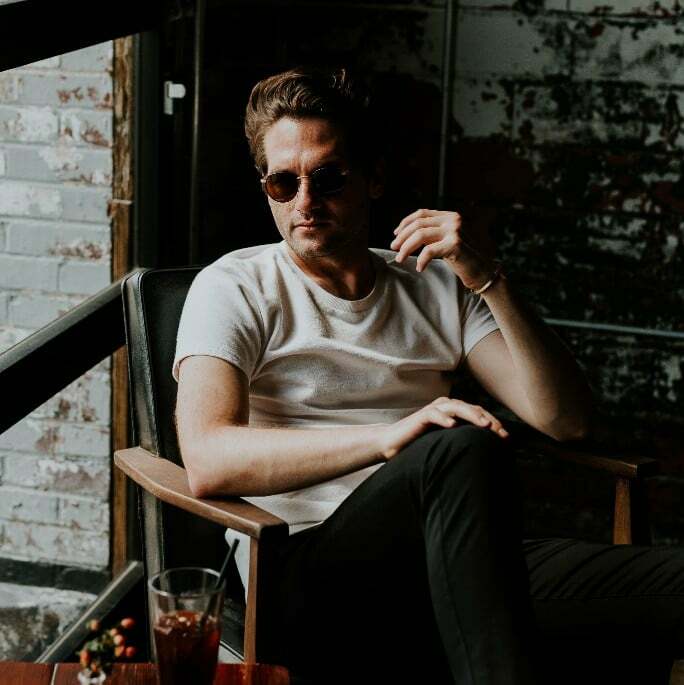 Hi my name is Larry, a coffee aficionado and passionate traveler from the US. I have already visited Colombia, Sumatra, Guatemala, Costa Rica, Ethiopia and Jamaica in my pursuit of finding the best-tasting coffee beans that make you feel like you are in heaven. I currently write from Bali and enjoy the relaxed life that you can find only in Indonesia. Welcome to my coffee world!